Our first stop on the Fall 2018 #ReachYourPrime Tour was at Grand Canyon University (GCU) in Phoenix, Arizona. Prime U has a special relationship with GCU, being our very first collegiate client to engage with our services and give us the opportunity to work with their student-athletes and athletic department staff. 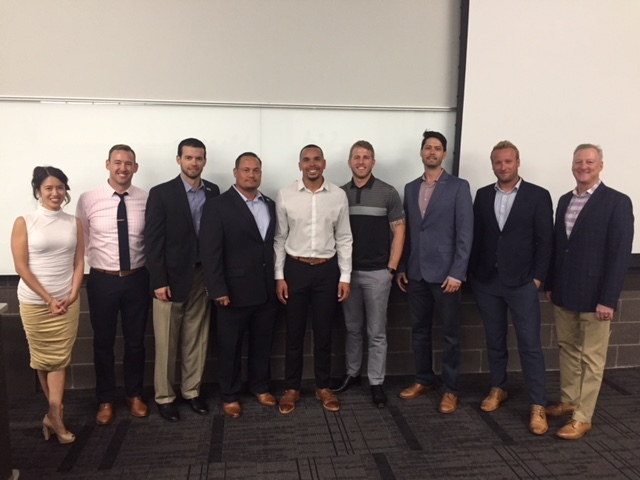 We delivered three separate workshops throughout the day beginning with a presentation to GCU staff on how to build trust with Gen Z student-athletes. Click HERE to view the presentation slides and notes. Following the staff presentation, we spent time with a select group student-athletes in a less formal setting, allowing for individual Q&A but also facilitating our “Pressure Makes Perfect” Decision-Making Workshop. This opened up opportunities to have practical conversations with student-athletes on our journeys as professionals but also how to strategically face hard decisions and situations that occur both during and after college. Lastly, we delivered a keynote on the topic of “What To Do When Your Best Isn’t Enough”. A topic that is often thought about but rarely discussed, student-athletes were challenged to identify how they saw themselves and who/what they turn to when feeling under pressure. Numerous students stayed following the engagement for further conversation and questions.